The Secret Eating Society, a group of design-savvy foodie hipsters, ended 2007 with a party at Sebastopol's West County Grill and the publication of the "zero" issue of their magazine, The Secret Eating Society Quarterly Journal. The vibe was young and fun, with a let's-roll-up-the-rug-and-throw-a-magazine purity that was irresistible. Devoted to all things smart, yummy and sustainable, the SES hosts underground dinners in honor of such as our watersheds, the libido and even the lack of vision (one such meal found diners blindfolded throughout). They have indulged in the guaranteed-to-disappoint rite of foodie passage known as "roasting your own pig" (watching teeth drop vigorously from the animal's skull is an extreme appetite supressant and apparently only islanders know how to cook the meat so that it matures under heat from a garish white). Nonplussed, SES members continue to offer such events as its Butchering for Amateurs class (they assure that they don't lead a baby lamb in by a rope) and Speed M[eat]ing, which is like dating . . . but not. They celebrate their journal's first official release with a yowza party on Friday, Feb. 29, making a leap (year) forward from an organized collective of attractive and adventurous eaters to an organized collective of attractive and adventurous eaters with print power. Plan to be at Peter Lowell's from 6pm to 8pm on Feb. 29. 7385 Healdsburg Ave., Sebastopol. $10. 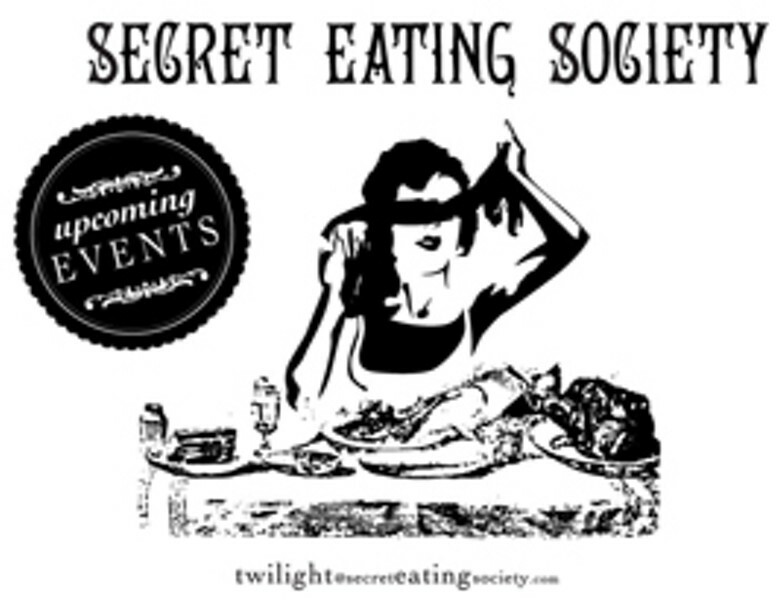 [ http://www.secreteatingsociety.com ]www.secreteatingsociety.com.